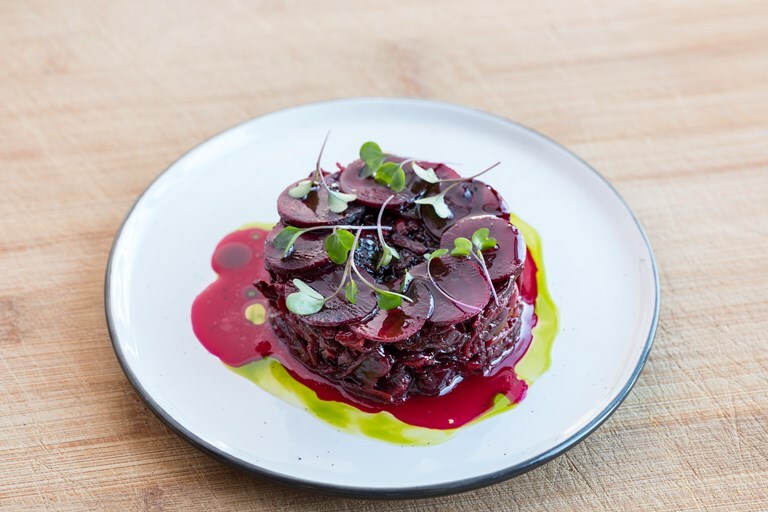 This beautiful beetroot dish is comprised of fermented and slow-roasted beetroot, served with pickled beetroot and a seaweed oil for a slight flavour of the sea. Blackberries and hazelnuts are added to the beetroot mix for sweetness and crunch – a stunning dish for a vegan dinner party. This dish was created by Rob Howell, head chef at Josh Eggleton's restaurant Root.